We are a group of highly trained paranormal investigators and researchers interested in spirit-type phenomenon. 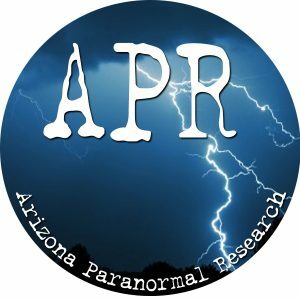 Some of us are from the group Arizona Paranormal Investigations. At one time, it was the oldest group in Arizona and we lasted nearly 20 years investigating private homes, business and historical locations before calling it quits a few years ago. What made us stand out from most paranormal teams in Arizona was our skeptical view on paranormal claims. We were respected because of this, and since I was one of the case managers for the former group, I can’t tell you how many clients thanked us for not posting photos of digital artifact orbs, which a lot of paranormal groups still have posted on their web sites posing as paranormal evidence. On our team we have many skilled people. Sharon is an accomplished author, paranormal investigator, Psychic, and created a top paranormal web site called “Ghost Hunting Theories.” Stop in and take a peak at http://www.ghosthuntingtheories.com. Dave is a steady, calming influence on our team and is a heck of a good investigator. If I was ever in a very active location, I would want him with me at all times. In his spare time Dave runs his own vintage baseball team named The Phoenix Senators. We have people in training on the team as well and I will have other people assisting with our team as needed. My paranormal background started in MUFON, short for the Mutual UFO Network. I was one of the investigators involved in the infamous “Phoenix Lights” UFO case in 1997. I was then put in charge of investigations for a period of time. I am proud of my time with MUFON but I still wanted to pursue my other interest and study hauntings. I had experienced a haunting while stationed in the Air Force in England in 1978 and the subject has fascinated me ever since and I basically became a paranormal nerd reading and researching everything I could get my hands on. I finally found a skeptical group in the Phoenix area and became an investigator. On this web site you will see actual case studies from my time with Arizona Paranormal Investigations as well as current investigations. My interest is the study of Electronic Voice Phenomenon, which I feel is a key to proving that a haunting is taking place in a location. I have some startling evidence and patterns of evidence that must be released to the public in the hopes of reaching other researchers doing this kind of work. We will continue to investigate and conduct experiments regarding the paranormal and we will post all of this research we do to the public on this site.